When Simone Banks moved to London from the US to study for her MBA at London's top business school, her plan was to keep things simple. 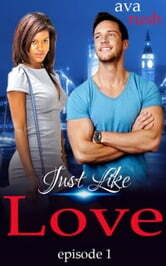 With a gorgeous South African lover fulfilling her carnal needs, she's managed to keep her life free of complications. Adam is no stranger to the complicated lifestyle. As the son of a billionaire, he has been in the public eye since birth. And as one of London's most eligible bachelors, he has his pick of women. But when he sees Simone behind the counter, he isn't prepared for the effect she has on him. Now, he can't stay away. Episode 1 of this 5-part steamy bw/wm, interracial romance serial. GET THE BOX SET TODAY AND SAVE MONEY!! !